Divya Gopikumar is Abhirami born and real name. Abhirami was born on 26 July 1983 in Thiruvananthapuram, India. Her age as in 2018 is 35 years old. She has mostly worked in Malayalam, Tamil, Kannada, Telugu Movies. She has appeared in both movies/films and tv shows. Her movies/films and tv shows list is given below. She is a married woman. Abhirami is married to Rahul Pavanan. Her husband Rahul Pavanan grandson of writer Pavanan.Talking about her family. She is very close to her family. Her personal details like Family, Father, Mother etc we will update soon. Her wedding photos, family, latest photos are available on internet. Abhirami is an Indian performer and TV actress. She has acted in Malayalam, Tamil, Telugu and Kannada motion pictures. Her movie profession, which begun in 1995, was hindered in 2004 when she settled in the United States. She made a rebound in 2013. Despite the fact that she is a Tamilian and her native language is Tamil, she was conceived and experienced childhood in Kerala as her folks were both bank authorities settled in Trivandrum. She had her essential training from Christ Nagar English High School and Bharatiya Vidya Bhavan, Trivandrum and pre degree from Mar Ivanios College. Abhirami represented the first run through in chief Adoor Gopalakrishnan's film Kathapurushan; it was her lone film as a lead artiste. While in school, Abhirami acted as a TV stay for the program Top Ten which publicized on Asianet Channel. She acted in a part in the Malayalam film Pathram in 1999 and in the Mercara. Later she acted in movies, for example, Millennium Stars, Njangal Santhushtaranu, and Sradha before moving to Tamil film. Her first Tamil film was Vaanavil (2001) which was a "major hit". She is hitched to Rahul Pavanan, grandson of author Pavanan. What is Abhirami (Actress) Profession? - She is an Indian actress and television host. What is Abhirami (Actress) Educational Qualification? 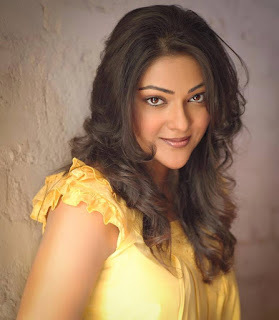 - Abhirami real age is 35 years. She was born 26 July 1983. She is active on twitter on https://twitter.com/abhiramiact?